Making Space is starting to make a splash in bringing the business of Art and audiences together in the form of curated events. Orlaith Ross is curator with a background in Ceramics and Art Education. She earned a BA from the National College of Art and Design Dublin 2009 and an MA in Arts Management from University College Dublin in 2012. We’re going to talking to Orlaith about the Making Space idea, what the business of art has to do with business and advice for anyone looking to startup a community event. You can follow @orlaithross on twitter or see here work here on Orlaithross Twitter. Making Space events can be viewed here MakingSpace.ie. Friends of Making Space can be found here. 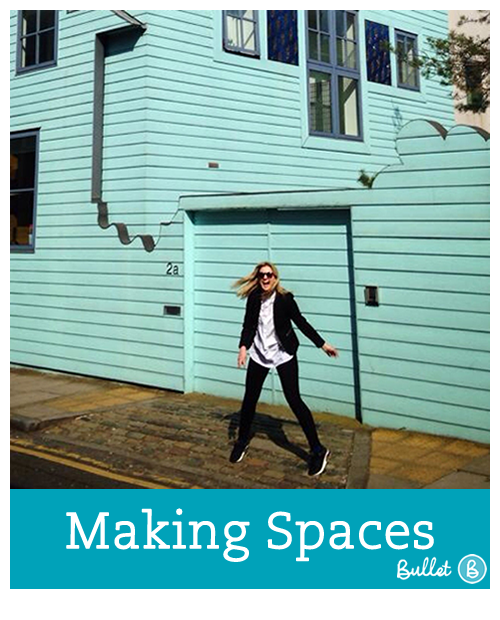 So, in laymans terms what are you trying to achieve with Making Spaces, and who is it for? 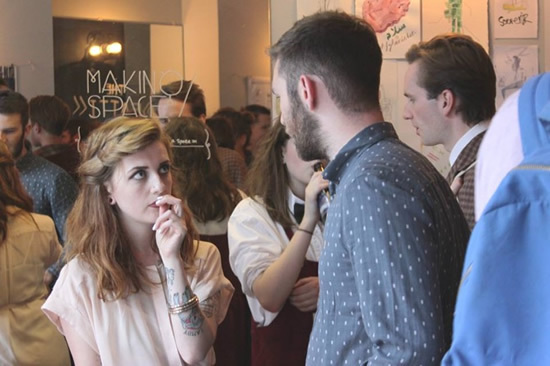 Making Space provides services for creatives and businesses. From exhibitions and events to design and marketing. We source and manage the skills necessary for business to create and develop ideas. We translate businesses ideas into engaging content and innovative experiences. On your Making Space website you talk about bring Business to the Arts why do think that’s important ? My background is in the visual arts and I often find that the creative industry and business are dirty words in the arts. 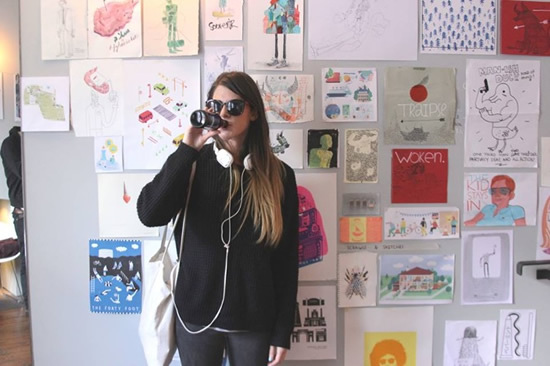 Creatives often steer away from this side of things and can often miss out on opportunities​. Businesses can also struggle to connect and communicate with creatives. 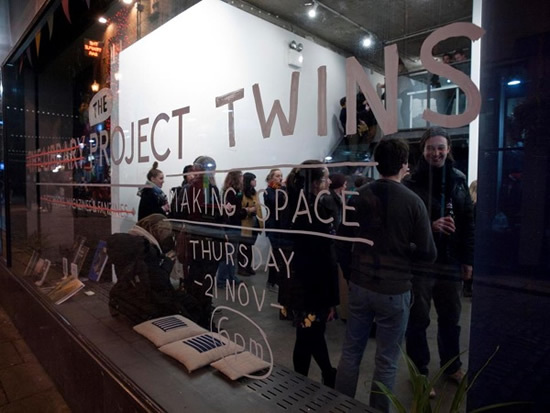 ​Frustrated and inspired by this, Making Space aims to provide a service for creatives to promote their work, through exhibitions, events and social media. By showcasing and promoting artists, Making Space has developed mutually beneficial relationships with a number of creatives and businesses. 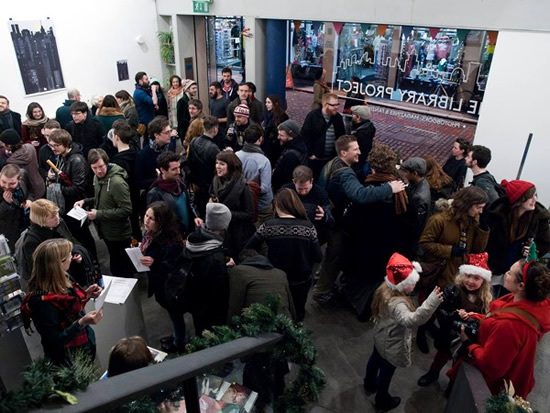 Making Space also connects companies, communities and individuals to cultural activities, including tours of the city and pop-up events. What do the artist working with you expect to get out of the events? ​it ​is cups for 3fe, an exhibition in the RHA or a walking tour. What the creative is looking to get out of the exhibition. What the audience will want out of the exhibition. How the creative wants to communicate to new audiences and the established audience. I manage all aspects of the exhibition from the promotion, sponsorship and social media, to the curation and event management on the day. In doing so I ensure that all aspects are taken care of and work seamlessly together. I collaborate and work with the best in the business and as a result I have a never-ending resource of enthusiasm and passion​ for everything I do. If someone was looking to create their own events, what advice would you give them? Finding your niche is difficult but important to do at the start, there is no point trying to be all things to all men. Writing a business plan early on can help with this. Also it seems very straight forward but starting with a checklist and a plan of action is vital and often overlooked, there is no point starting an event without. Finally I think keep the end goal at the front of your mind at all times and if things go awry, don’t panic, just refocus and move forward. Everyday is a school day. When is your next show and what is it about? What else is a busy creative like yourself working on? I am currently working on a number of projects, including the hugely successful walking tours. Each one has sold-out so far so I advise people to sign-up to the mailing list makingspace. These tours are a passion of mine. Other highlights include an amazing Japanese inspired dinner set to be hosted in Temple Bar in July which is a collaboration Robin Hoshino of Gruel Guerilla along with Jette Virdi and Junko Hamilton (Japanese Chef based in Dublin). I also have a few interesting collaborations lined-up with Failte Ireland, Dublin City Council, Greedy Pig and a few festivals too. So exciting times all round.